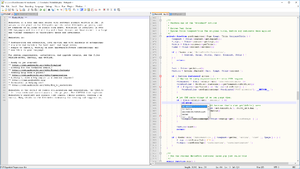 Notepad++ is a text editor and source code editor for Microsoft Windows. Notepad++ is distributed as free software and licensed under the GNU General Public License. ↑ "User Defined Language Files". notepad-plus-plus.org. This page was last changed on 4 November 2016, at 13:02.